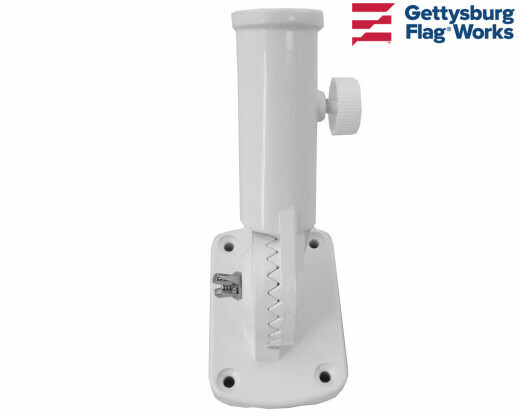 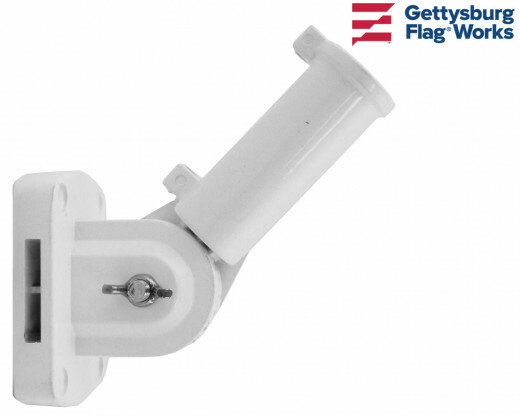 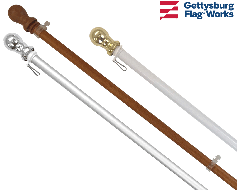 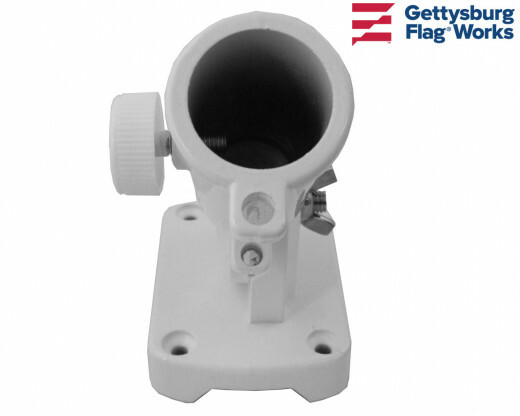 A durable adjustable flag mount for your 1" diameter flagpole. White powder coat on an aluminum bracket. 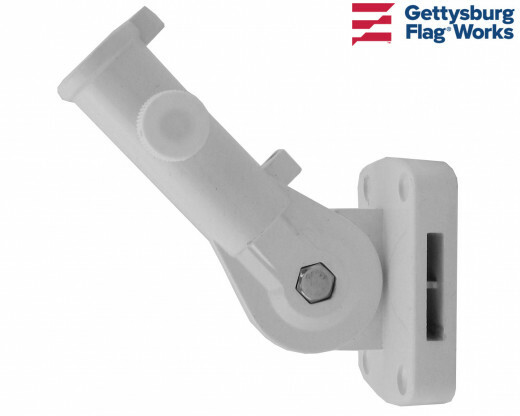 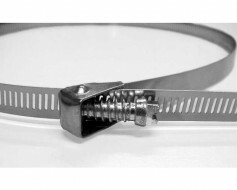 Thumb screw tightens against your flag pole.